Thank you Downtown LA!!! We LOVE being part of this vibrant pet friendly community and truly appreciate you honoring us. We are delighted to provide you and your pet companions with the best products and services to fit your pet lifestyle and look forward to seeing you in-store for a celebratory high-five, and high-paw! 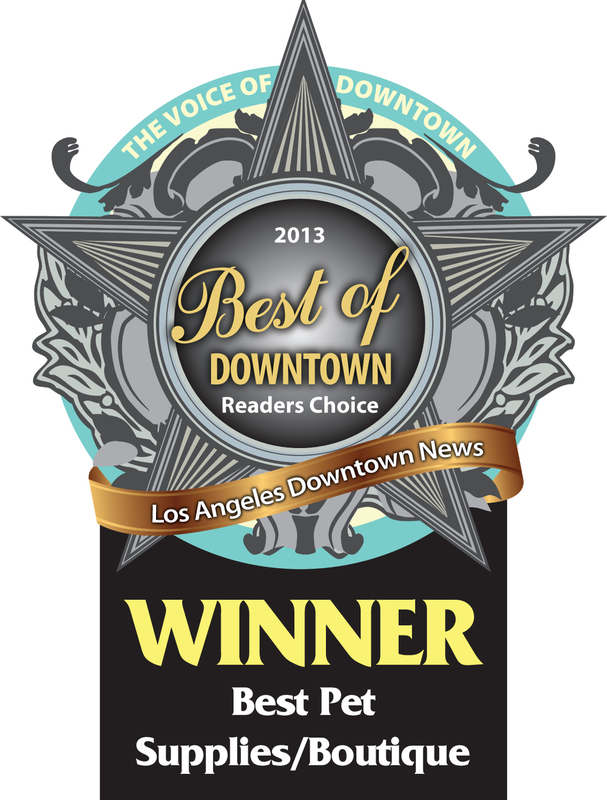 Please check out all of the Los Angeles Downtown News’ Best of Downtown Readers Choice 2013 winners to see if your favorite establishments won, or find a few new ones! And, reminder, to celebrate we've got a special limited-time offer now thru July 21st, buy 2 grooms and get one FREE. Check with your local store for details or click here to buy the deal online.